The neutron fluence loaded on a reactor pressure vessel is an important physical quantity affecting material degradation. It can be used as an indicator for reliable assessment of pressure vessel integrity and lifetime prolongation beyond designed conditions. This neutron fluence is affected by mixed neutron-photon source from the core periphery as well as by material parameters of the reactor pressure vessel. 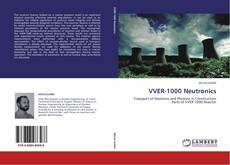 The monograph discusses the computational procedures of neutron and photon fluxes in the VVER-1000 mock-up internal structures. These results are compared with experimental results achieved at LR-0 reactor. The neutron spectra measurements were performed with a two-parameter stilbene spectrometer. 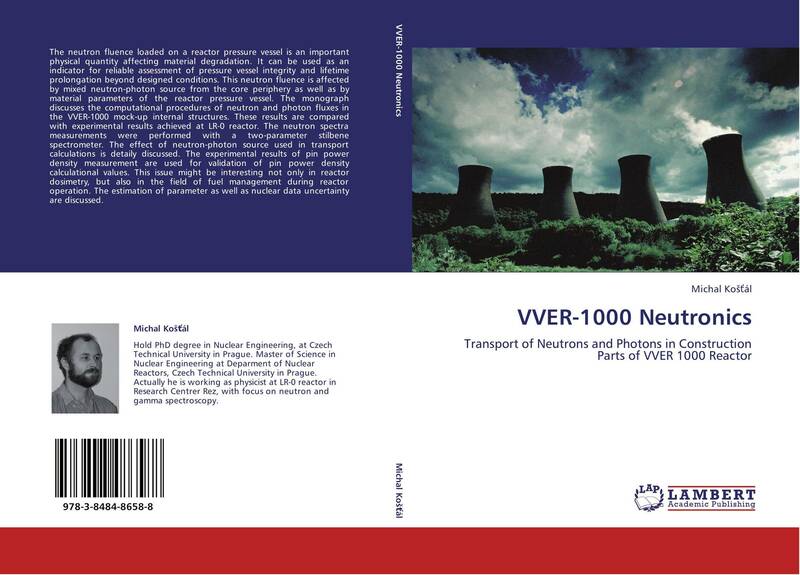 The effect of neutron-photon source used in transport calculations is detaily discussed. The experimental results of pin power density measurement are used for validation of pin power density calculational values. This issue might be interesting not only in reactor dosimetry, but also in the field of fuel management during reactor operation. The estimation of parameter as well as nuclear data uncertainty are discussed.